Sales teams and offices set up in Hong Kong, U.K and Spain,with authorized overseas distrubutors in the U.S & Canada, to render distribution and services to customeers worldwide. Major markets are U.S.A, Europe, Canada, Japan and Australia. 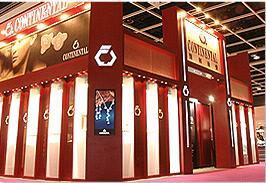 USA Continental Jewelry (USA) Inc.